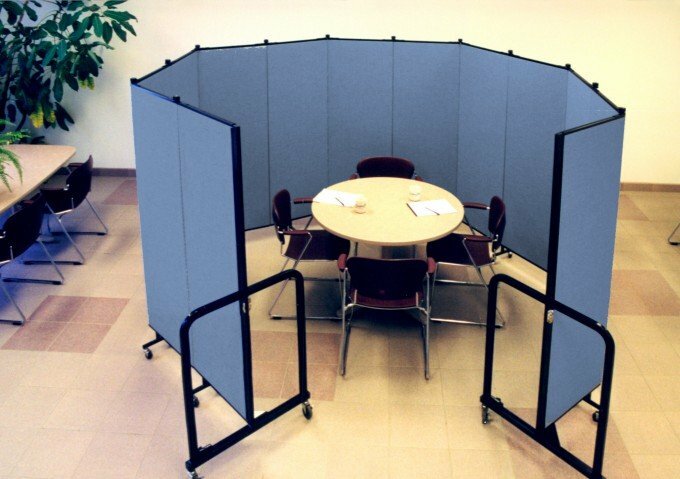 Uses: Cafeteria, Conference Area/Meeting Room, Corporate, Office, Training Colors: Blue Lengths: 13 panel 24'-1" Heights: 6'-0"
Adding meeting space to your facility is as easy as 1…2….3…. 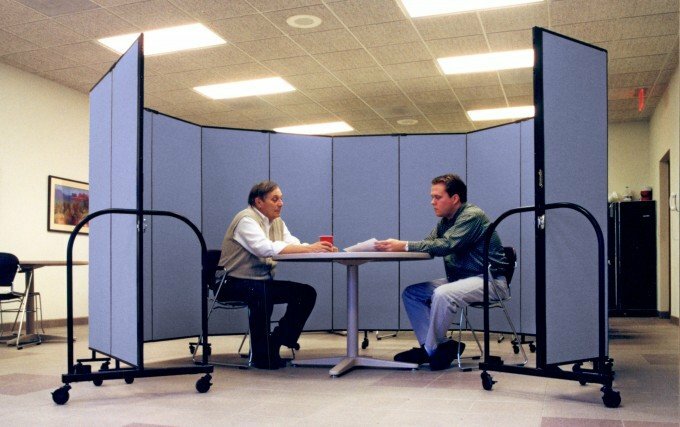 with Screenflex Portable Room Dividers. 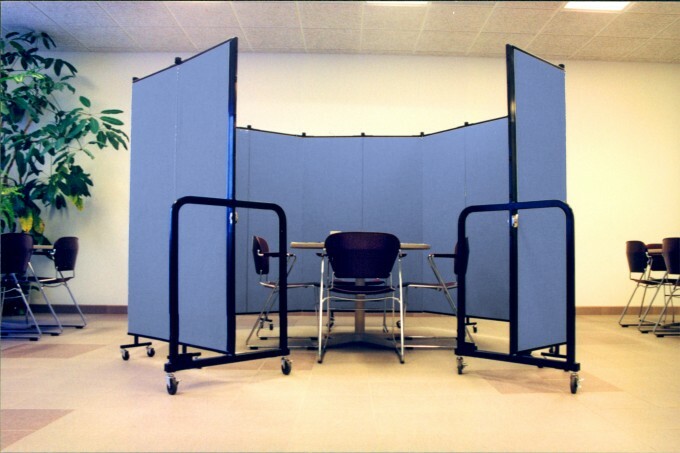 These acoustical and tackable panels are designed with a honeycomb core surrounded by fiberglass insulation on each side of the panel to absorb as much sound as possible. The panels rest on locking caster wheels for easy portability and movement.